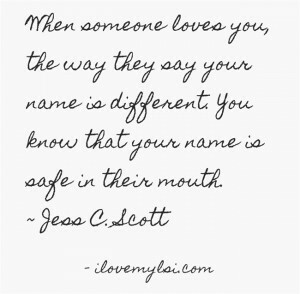 Your name is safe in their mouth. 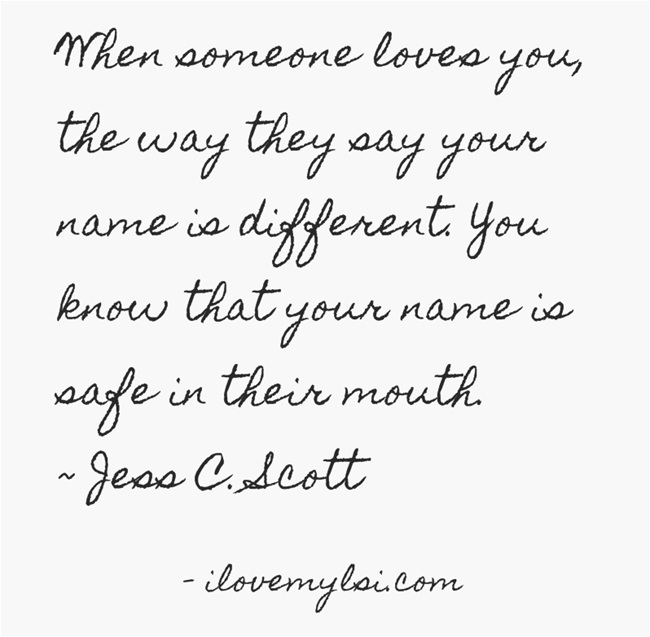 When someone truly loves you, you feel that your name is safe in their mouth. It seems that with love comes the sense of safety and security, doesn’t it? How do you all see it? Let us know your thoughts.